Residents of Saint Petersburg have reportedly torn down a giant interactive iPhone memorial that commemorated the death of Apple founder Steve Jobs after the company’s current CEO, Tim Cook, came out as gay on Thursday. Business FM Radio reports that the company that originally funded the memorial, ZEFS, decided to tear it down after Cook said he was proud to be gay. Homophobia is rife in Russia, and many LGBT people living in the country have been subjected to harassment and violence. 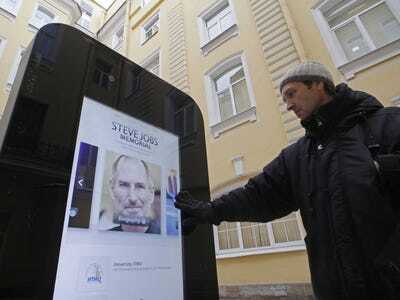 The six-foot tall memorial was erected in 2013 to celebrate Steve Jobs’ life. It featured a large screen that showcased moments from Jobs’ life, as well as scrolling quotations from his speeches and a QR code on the back that would take people who scanned it to a website. Speaking in a press release sent to Russian media outlets, ZEFS chairman Maxim Dolgopolov explained that the memorial was torn down for two reasons: Tim Cook coming out as gay and Edward Snowden’s revelations about NSA spying. (Snowden’s documents suggest Apple products were used by the NSA to conduct surveillance.) 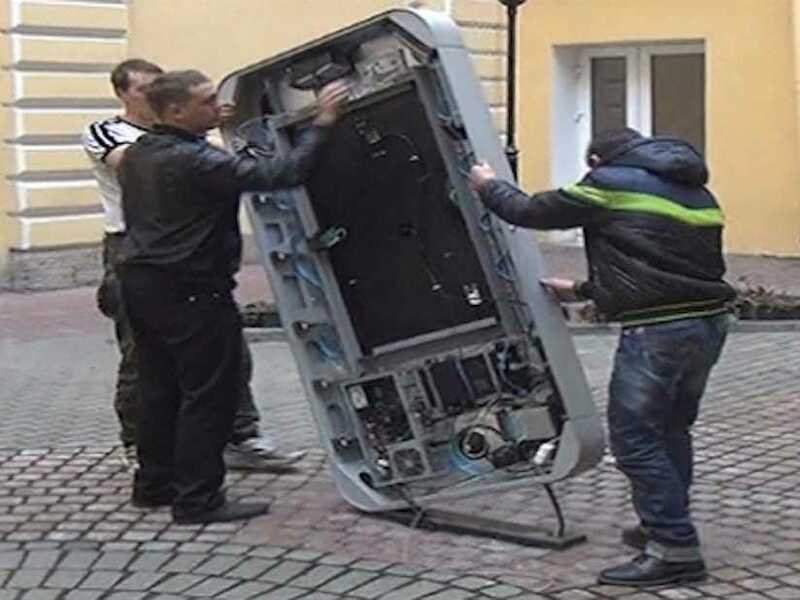 He didn’t rule out reinstalling the memorial, however, but said that it would only return if it could be modified to instruct Russian citizens to use products from companies other than Apple.